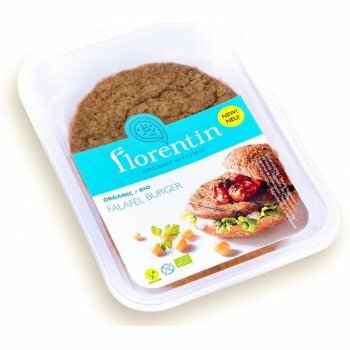 Organic Falafel Burger from Florentin. 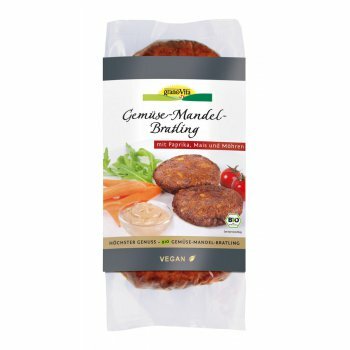 Fry these tasty gluten free Falafel Burgers in a pan, in the oven or on the grill. 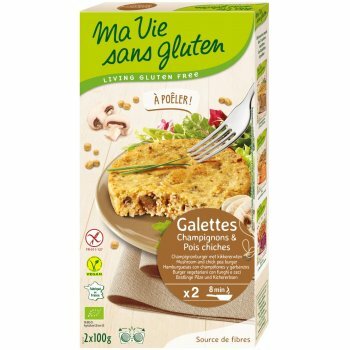 Burger Mushrooms Chickpeas from "Ma Vie sans Gluten" in France. » Gluten Free » Source of fibres How to use Heat some oil in a frying pan and fry the burgers for 4 minutes until crisp on both sides. 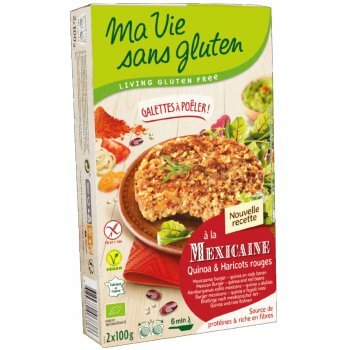 Burger Quinoa & Red Kidney Beans from "Ma Vie sans Gluten" in France. 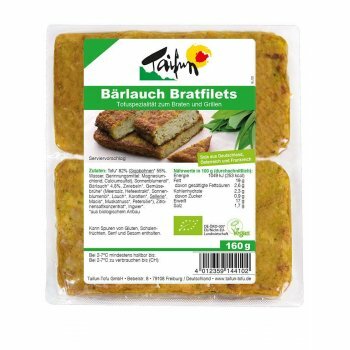 » Gluten Free » Source of fibers and protein How to use Heat some oil in a frying pan and fry the burgers for 4 minutes until crisp on both sides. 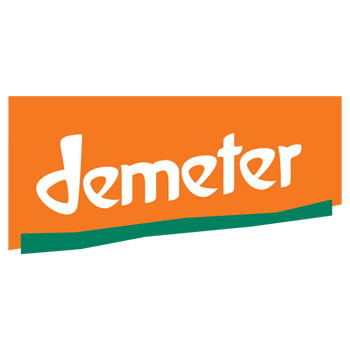 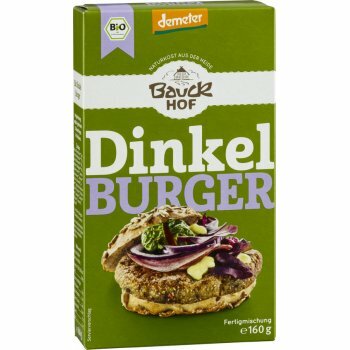 Bauckhof Burger Spelt in Demeter Quality without wheat. 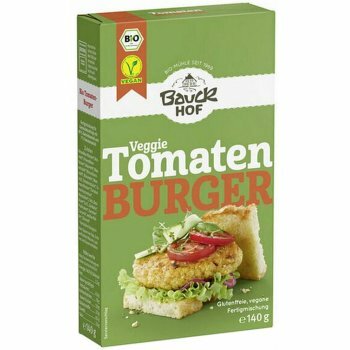 Bauckhof Burger Tomato - Basil gluten free in Demeter Quality. 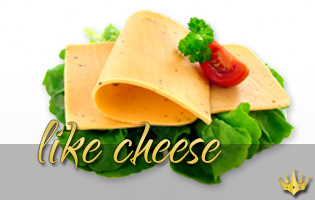 Just add burger mixture to boiling water (175ml). 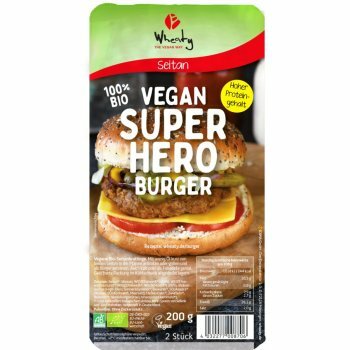 Leave it for 15 minutes, form burgers and fry them in a pan. 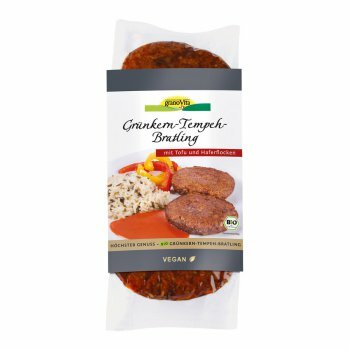 Organic Burger Unripe Spelt Grains - Tempeh from Granovita. 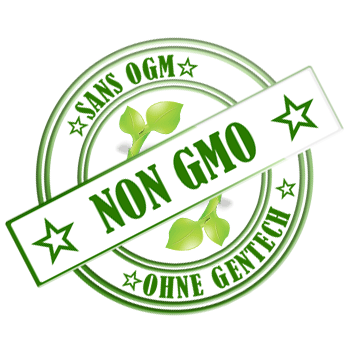 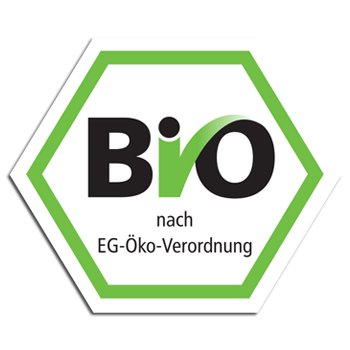 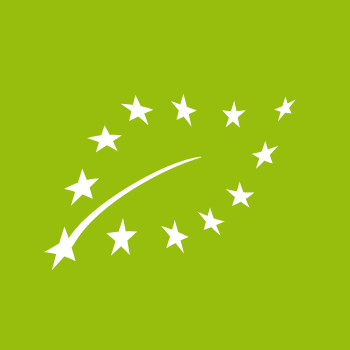 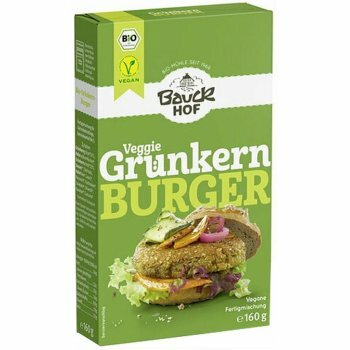 Bauckhof Organic Burger Unripe Spelt Grains in Demeter Quality without wheat. 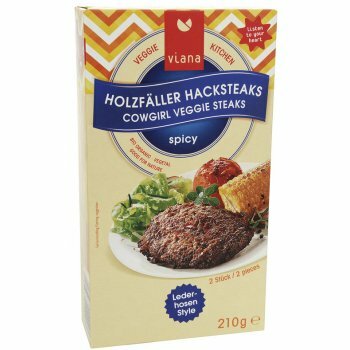 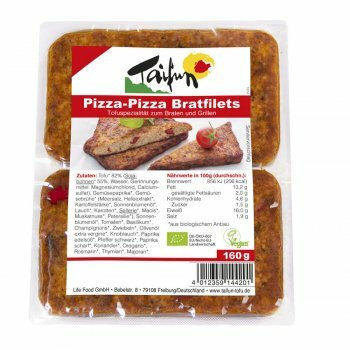 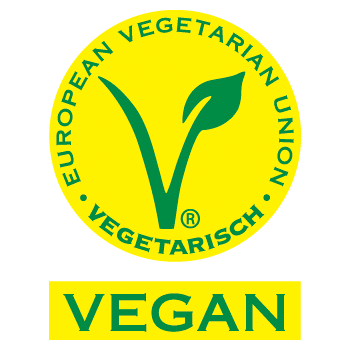 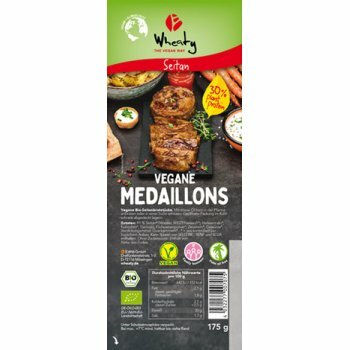 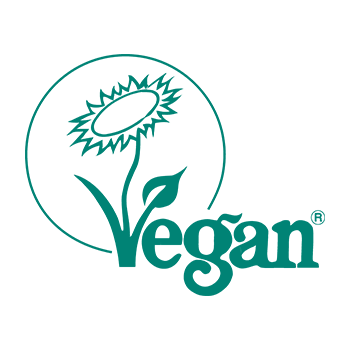 Vegan alternative to Hamburger, based on Seitan. 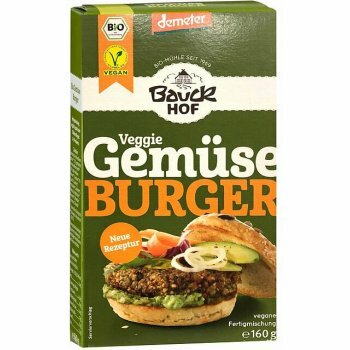 Bauckhof Burger Vegetables in Demeter Quality without wheat. 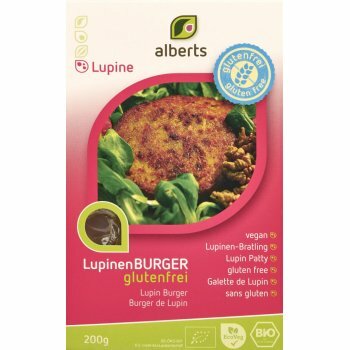 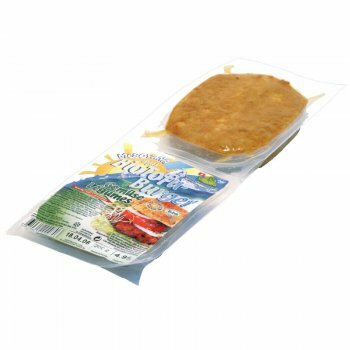 Gluten free and yeast free Burger made of Lupine by Alberts. 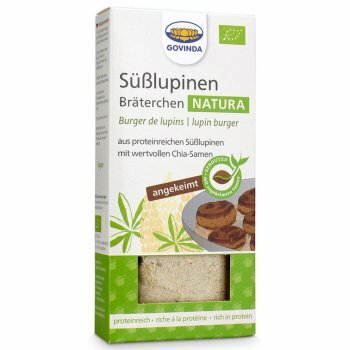 A unique burger, made of lupine and vegetables! 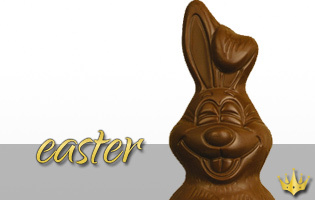 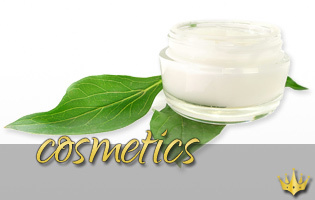 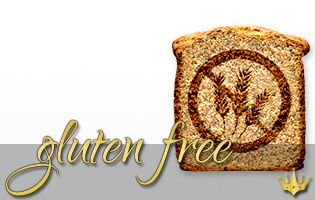 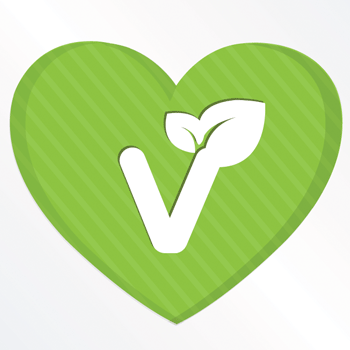 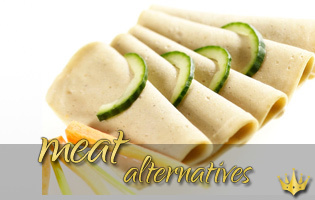 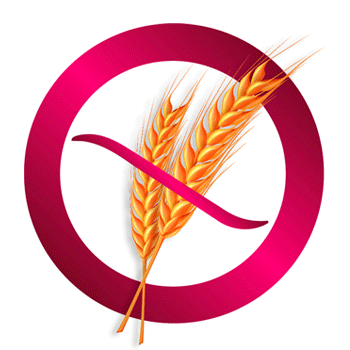 Free of cholesterol, lactose, gluten and yeast!